As soon as the weather hits below 90 degrees, it's time for comfort food. Growing up, my mom used to make casseroles. I absolutely LOVED them. I still make them. 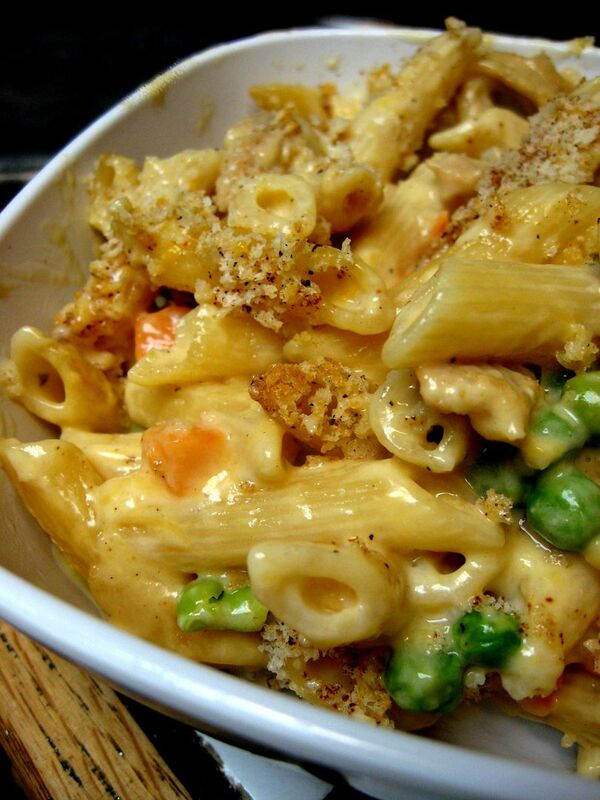 They are so easy to throw together and they make enough to heat up for practically the rest of the week. 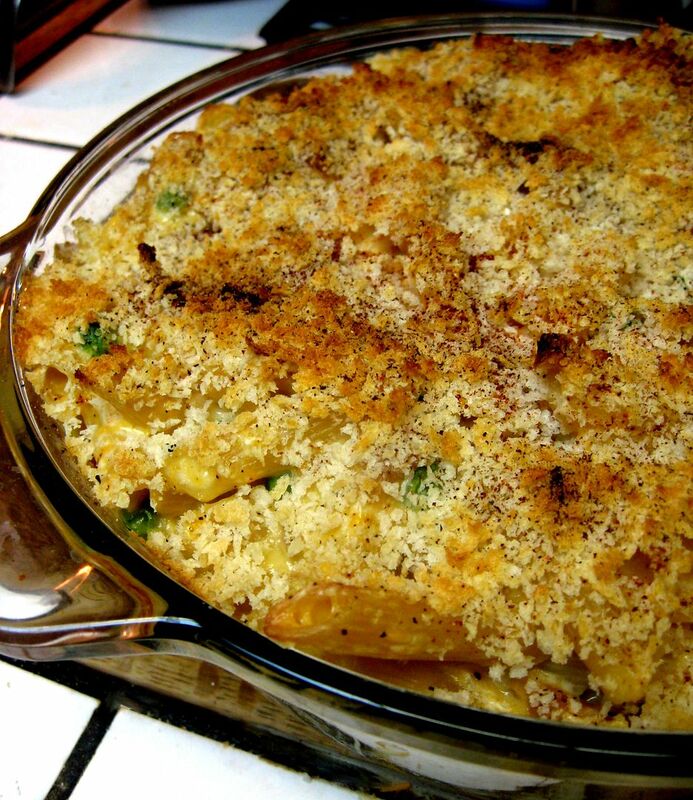 Another nice thing about casseroles is that you don't really need a recipe. You just throw a bunch of stuff together and then bake it. So easy. Boiled the pasta in salted water. Drained it and retrned it to the pot. Added the Daiya, EB, Sour Cream and Cream Cheese. Mixed it all up until it was creamy. Stirred in the peas, carrots, reconstituted Soy Curls along with the remaining broth. Transferred it all to an oven safe casserole dish, and sprinkled on the panko. Baked, uncovered, at 350 degrees F for about 20 minutes, then I cranked up the heat to 500 for about 10 minutes to brown the top. You got Daiya. I'm jealous. Did you have to order it, or can you get it locally? I keep hearing about this Daiya product....apparently it is amazing? Looks FREAKING AWESOME! I could dive straight into that! That looks so cheesy! Mmm. snugglebunny...i get mine at whole foods! I might have to make a trip or at least call mine then. But I won't expect them to have it. I don't even think they have MimicCream yet. Yum, I so want to eat this right now! Recipe bookmarked, I'm totally going to give this one a try. Looks yummy Joni! Now I'm totally craving this for dinner. Will cook this out for dinner - thanks for sharing.